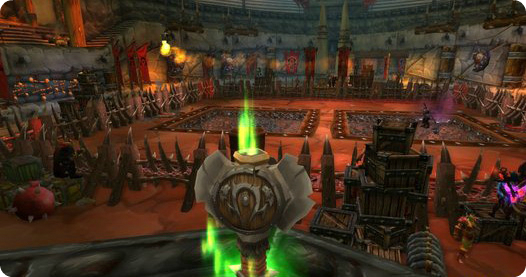 The biggest change is that all gear in all Battlegrounds and Arenas will be scaled down to ilvl 496, which is the level of Season 13 Conquest Gear. Resilience will also be removed from all gear, although it will remain on gems and enchantments--to compensate for this, all level 85+ players will have 65% base resilience. PvP Power will remain on all gear. 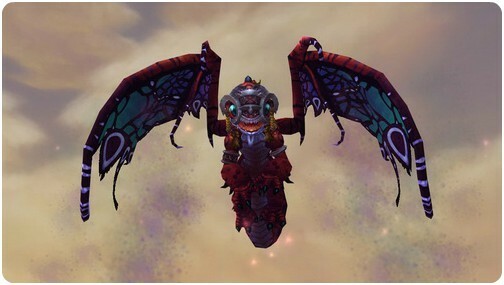 Since gear above ilvl 496 will be scaled down, Elite items will be primarily cosmetic rewards instead of powerful PvP armor. Battle Fatigue will increase to make PvP Gear superior for healers. Other changed described during 5.2's PTR are still in place, namely that the 7,250 Conquest Points requirement for weapons will be waived in 5.3, and a catch-up mechanism will be implemented so newer players can earn more points per week. If you've gotten over 25,000 Conquest Points, you can also purchase Tyrannical gear for Honor. As for the ilvl 496 scaling--many players felt that having multiple tiers of PvP Gear in 5.2 led to an uneven playing field. 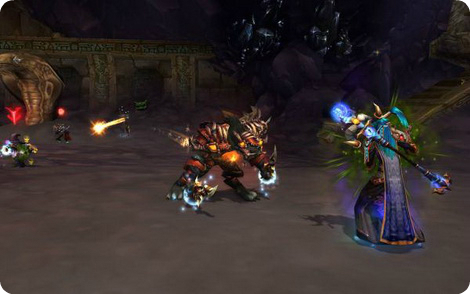 Item Upgrades were removed from PvP Gear for this reason, and keeping overpowered ilvl Elite gear around would create more problems at the start of Season 14. 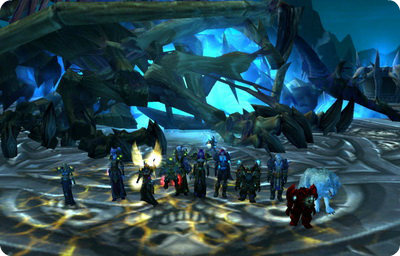 It's also been difficult to keep PvP Gear competitive in light of the rapidly escalating ilvls of PvE raiding gear. With the new ilvl 496 scaling system, PvE gear will always be slightly worse than PvP Gear, because even if they have the same offensive stats, someone with full PvP Gear will have PvP Power on their gear and take less damage. As you're probably aware we introduced a new system in 5.1 which allowed you to upgrade some gear a few items levels at a time by paying with the PvE (Valor/Justice) and PvP (Conquest/Honor) currencies. In 5.2 the Voidbinders (NPCs who perform item upgrades) took a break to let people focus on just acquiring new items with their points. It also gave us time to evaluate the system, and decide how we want to continue supporting it. The upgrade system for PvE as a way to make steady progression against bosses you can't quite kill yet. You very predictably earn Valor every day, and use that Valor toward increasing your character's power and overcoming an obstacle. It's also good that Valor always has a use; it's a currency we always want to be valuable regardless of where you are in progression. The thing most of us didn't like about item upgrades previously was that it created these rather brutal decisions where you were essentially betting against yourself, or having to offload large sums of Valor to keep from capping. If you just got a belt, but next week you're going up against a Heroic boss that drops a best-in-slot belt for you, you might bet that you'll get that belt and so you'd wait to upgrade it. But that's complicated by the issue of being Valor capped and needing to spend some. So you dump Valor on upgrading a different slot and just hope you don't replace that one instead. Malevolent Gladiator's Conquest (Season 12) items that have upgrades available are still upgradable at their original costs. Dreadful Gladiator's Honor (Season 12) items that have upgrades available are still upgradable at their original costs.